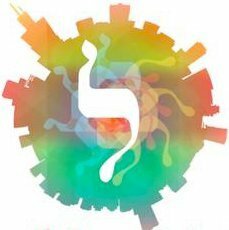 Limmud Chicago + MW is a volunteer run retreat that celebrates Jewish thought, arts, culture, life, learning and teaching. Participants come from a wide variety of Jewish backgrounds. The Limmud model is built on the premise that everyone has something to learn and everyone has something to share. Our gathering is a multi-generational, multi-denominational, diverse and inclusive event, welcoming all types of Jews and creating a community of learners. What does it mean to be a Limmud presenter? A Limmud presenter is both a teacher and participant. As a presenter, you will offer an interactive session on a topic of Jewish interest—cultural, religious, geographic, or political. Any topic that has a Jewish connection is fair game: pop culture, literature, music, film, history. Before and after your session, you are expected to participate in sessions throughout the retreat as a member of the Limmud learning community. How do I apply to be a presenter? The presenter application will open on May 1, 2018. We will begin reviewing presenter applications on May 10, 2018 and will continue to accept proposals on a rolling basis until our schedule is filled. No proposals will be accepted after June 30, 2018. Visit https://www.limmudchi.org/present--limmud.html to submit a presenter application. Follow the directions available on the website. All presenters must also be registered as conference participants. Watch the website, facebook, and twitter for details. Questions? Email the The Limmud Chicago + MW Programming Team at programminglimmudchi@gmail.com.